Three months ago, the 2018 Dodge Challenger SRT Demon was first announced to the world. Twelve weeks and 14 teaser videos later, the Demon has finally crawled out of the pits of Hades in order to make its way onto the drag strip. A drag strip that it is banned from competing on. For you see, the Dodge Demon is so fast and so powerful that the National Hot Rod Association has officially banned it from competitive drag-racing. There’s no need for any more speculation, as Dodge has unveiled all of the stats for the Dodge Demon. They weave a stunning narrative, which indicates that the 2018 Dodge Demon is set to be the fastest quarter-mile production car in the world. In one second flat, the Demon accelerates from 0 mph to 30 mph. The drag-racer next reaches 60 mph in 2.3 seconds, the fastest recorded 0 to 60 time for a production vehicle according to Dodge. By the quarter-mile mark, the Demon reaches a speed of 140 mph. It does all of this in 9.65 seconds, a new quarter-mile record. 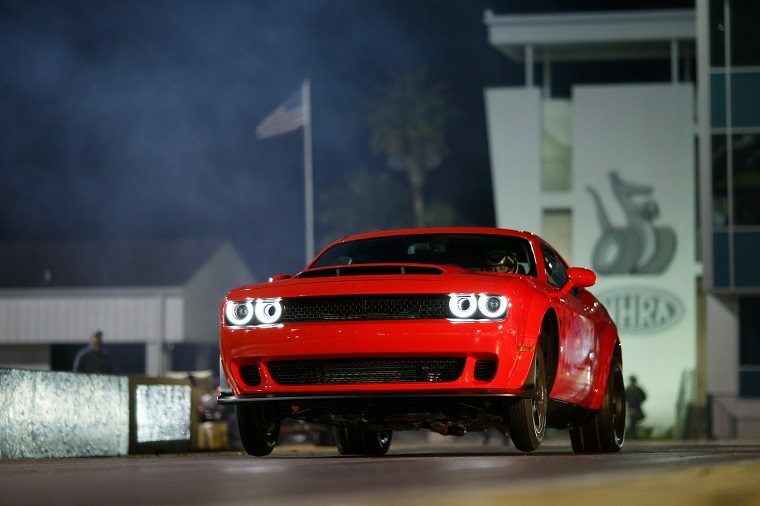 During launch, the front wheels of the Dodge Demon are lifted 2.92 feet into the air. Meanwhile, drivers will experience a total of 1.8 g’s of g-force acceleration, the highest g-force for any production model. To reach such ludicrous speeds, the Demon needs to pack a lot of power under the hood. 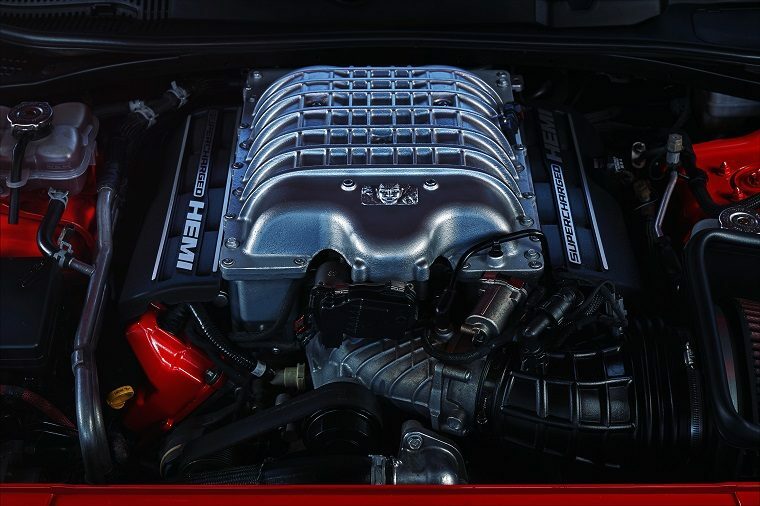 Thanks to its supercharged 6.2-liter HEMI Demon V8, it has more than enough power to get the job done. The 2018 Dodge Challenger SRT Demon produces 840 horsepower, as well as 770 lb-ft torque. This power level makes the Demon the highest horsepower V8 production model ever created. After recording the 9.65 quarter-mile time, the National Hot Rod Association (NHRA) deemed the Demon too fast to be included in competitive racing. Thus, Dodge created a drag-racing monster that is officially banned from professional drag racing. Of course, your specific Dodge Demon doesn’t have to be a mean drag-racing machine. 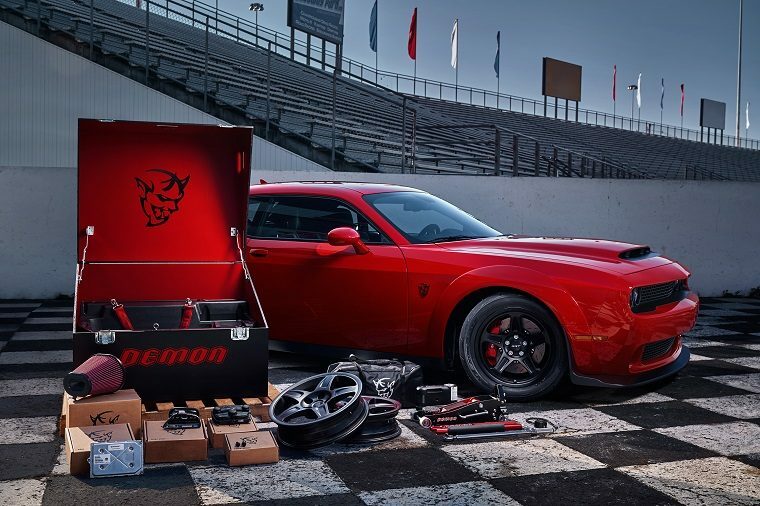 The Dodge Demon is made to adapt to the streets as well. As previously reported, the Demon only comes standard with one seat. However, the front and back seats can all be reinstalled for just $1 each. Meanwhile, those worried about the security of this drag-racer can put their worries at ease. 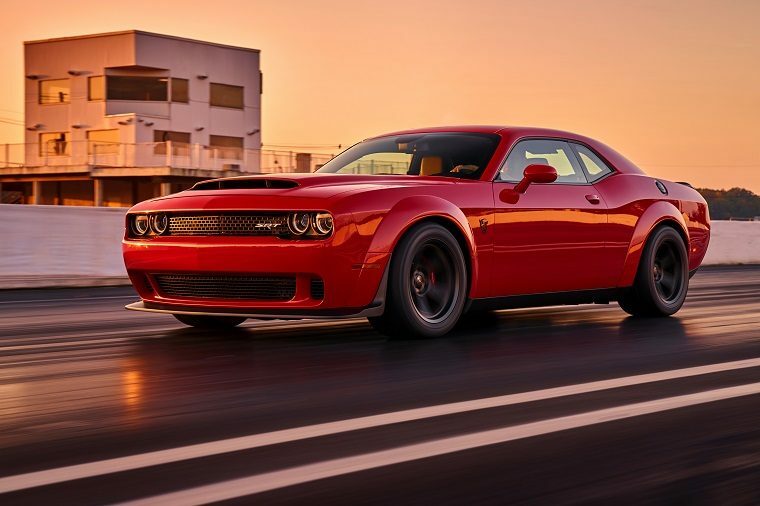 Not only does the Demon include a three-year/36,000-mile limited vehicle warranty and a five-year/60,000-mile limited powertrain coverage, but Dodge has also named Hagerty as the official insurance provider for the Dodge Demon. 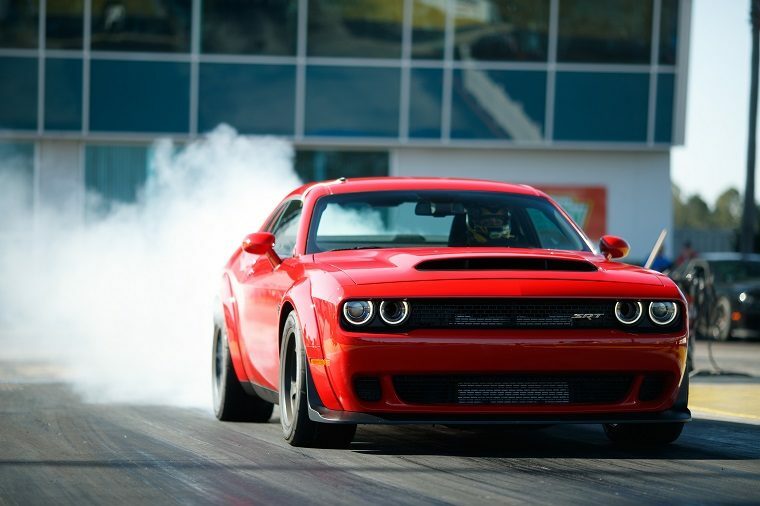 If you ever do want to learn how to drag race, each Dodge Demon purchased includes a full-day session at the Bob Bondurant School of High-performance Driving for the driver. By partaking in the course, you can begin mastering the drag strip. It’s guaranteed that more about the 2018 Dodge Challenger SRT Demon will be revealed as the 2017 New York International Auto Show progresses, so stay tuned to learn more about Dodge’s most powerful production model ever: the long-awaited Dodge Demon.